Sometimes shopping for Mother's & Father's Day is easy, and sometimes it's hard. I mean what do you get someone that probably already has every basic necessity they need, and then some? Well, why not give them something out of the ordinary and fun that you might not normally think of? For instance a Sock of the Month Club subscription from moJJa. It's something both functional (because we all wear socks) and fun at the same time because they'll never know what funky socks will be arriving on their doorstep. I was sent a few pairs from their line and have to say they were quite fitting for our family. 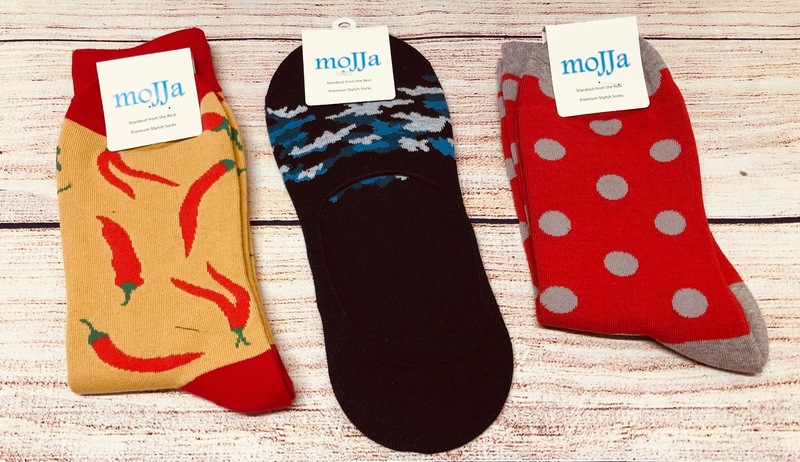 My husband loves spicy food and the hot pepper socks are just perfect for him. He normally wears all black or white socks, but said he would wear these for sure because he thought they were so cool. I was pretty happy with the pairs I got too. I love the colors as well as they styles since I wear both kinds alot. Definitely something I wouldn't mind getting as a gift. Speaking of fun and functional (for those of us that like to snack). 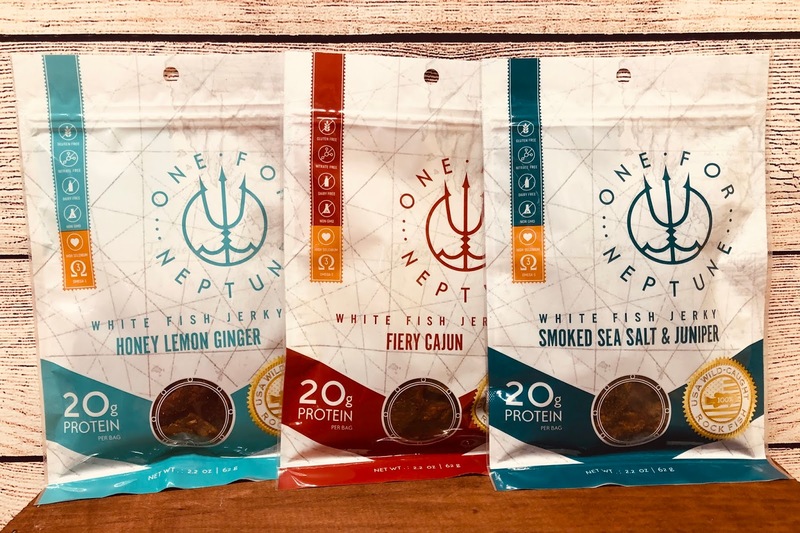 I recently had the opportunity to try out some really awesome flavors of white fish jerky from OneForNeptune. Give them a break from the normal beef jerky with this fun fish variation that comes in three flavors. I for one am in love with the Smoked Sea Salt and Juniper. On the other hand my husband said the Fiery Cajun was amazing. I'm taking his word for it because I'm not a fan of anything the least bit spicy and have not intentions of trying it out for myself. The Honey Lemon Ginger was good too, just not my favorite of the two I tried. OneForNeptune produces high-protein snacks made from sustainable seafood. Providing it's customers with the highest quality white fish jerky on the market. Try all 3 delicious flavors, all sourced from small-scale US West Coast fisheries. They believe you deserve to know where your seafood comes from. That’s why every packet they craft is traceable back to the fish, fisher, and fishery that it was caught. However if fish jerky isn't a fit for mom or dad maybe some treats from the Sugar Bowl Bakery are. Sugar Bowl Bakery is one of the largest family- and minority-owned American bakeries that's been around since 1984. From their sweet but not too sweet Madeleines, to bite sized brownies and Duets (Madeleine & Brownie combined), and flaky Petite Palmiers there's something that's sure to satisfy everyone's sweet tooth. We tried several of their products out and decided the Madeleines were great dipped in coffee (or cocoa) and the brownies made a great topper for our ice cream sundaes. Of course they are all great alone too as an afternoon snack or dessert with dinner. Speaking of being good dipped in coffee. Is mom or dad an iced coffee lover? 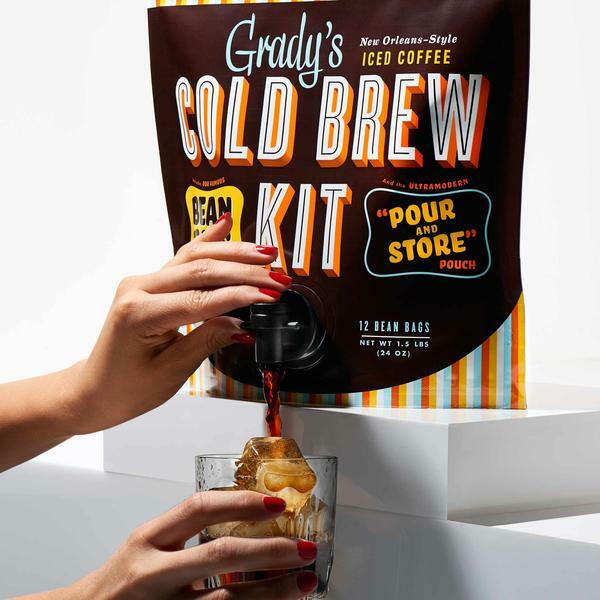 Then I have the perfect gift for you from Grady's Cold Brew. It's called the Bean Bag Cold Brew Kit. Each pour and store pouch contains (12) 2oz Bean Bags and each bag brews 3 servings of concentrate. Brewed concentrate must be refrigerated and stays fresh for up to 2 weeks. As an iced coffee drinker myself I was pretty excited when my cold brew kit arrived. I couldn't get it open and filled with water to put in the fridge fast enough. Let me tell you that was the longest night of waiting..okay maybe not but the anticipation for that glass of iced coffee in the morning was high. And I'm happy to report I was not disappointed. I mixed mine one part cold brew and one part vanilla almond milk (as I can't do regular milk) and it was so yummy! The chicory sweetens naturally so I didn't feel the need to add any additional sugar to it even. This is definitely a gift any iced coffee lover would enjoy. Still haven't found that perfect gift you've been looking for? How about his and her water bottles from KOR. Give one to mom on Mother's Day then give dad one for Father's Day so they have a matching set. The ONE and the DELTA are great companion water bottles for just that. They are both the same size capacity wise but each has it's own unique look and style. Kind of like mom and dad. Plus you can even get them in matching colors! 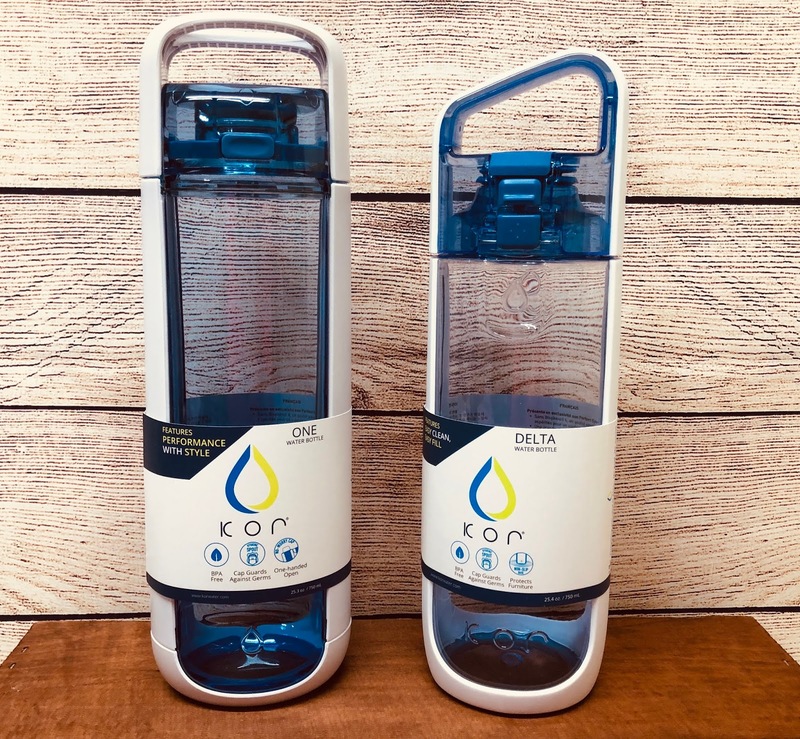 KOR has also launched a Bottle for Bottle (B4B) initiative and for every bottle purchased on KOR, they'll donate a reusable water bottle to a homeless shelter in need.. Reusable water bottles are one of the most requested items at homeless shelters so KOR is doing their part to help with that effort.